Need tire changer accessories for motorcycle, truck or car? We sell Ranger car, truck and motorcycle adapters for Ranger products. 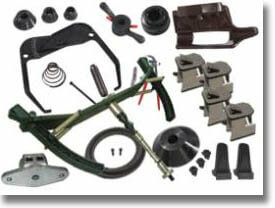 Including wheel shaft kit, tire machines, mounting heads, and versa-clamp adapters.